A quick shout out to Indie who in a short time, we got to know her calming spirit and infectious laughter. Her keep it real attitude has us giving her all of our respect. Check out her story and clothing line at www.kweenzdestroy.com. ONLY 1 LEFT! Customized "MTA SUBWAY MAP" by Cope2. Get yours today! Check out more photos on our flickr of Graphic Attack!. Or read about it from a different perspective on Neon Monster, Cope2’s blog, Spankystokes.com or Mixcrate.com. 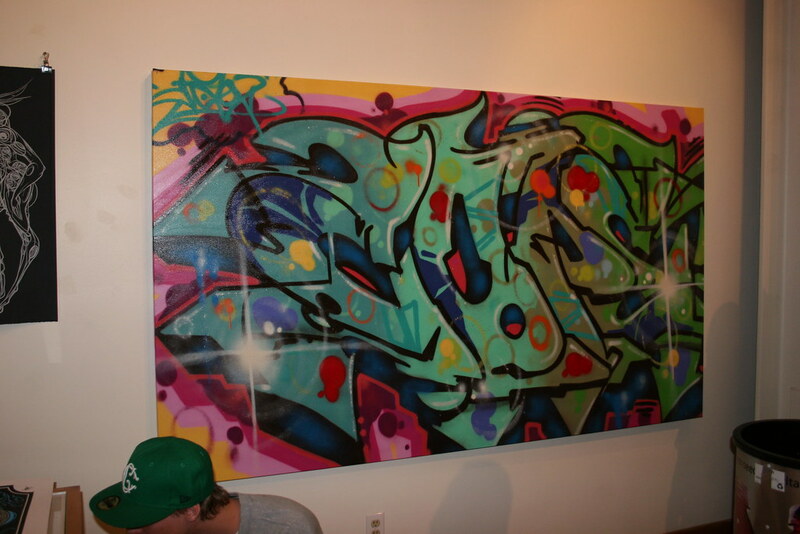 COPE2 at 1:AM gallery through June 19th!